Neist Point on the Isle of Skye is the most westerly point in Britain which is reachable without the need for boat or plane. 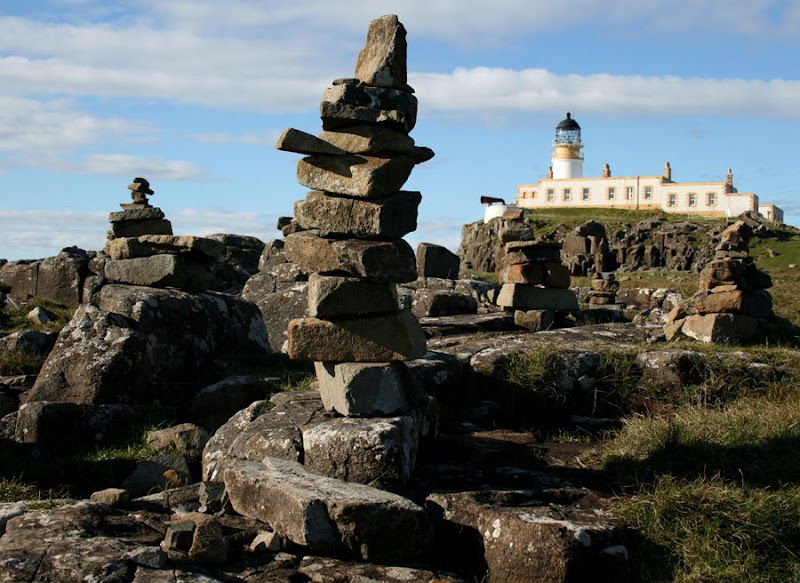 The rocky area between the point and the lighthouse contains dozens of curious man made cairns which some accounts attribute to new-age travellers. While we were there some morons knocked over a few so we added our own cairns to compensate! This was a surprising discovery and an amazing place to wander and wonder.